A Clean Face Features: Information on the ingredients and supplies you’ll need, how to make everything from Foundation and Lip Balm to Deodorant and Shaving Cream, plus an inside look at my skincare routine! I may make my living as a food blogger, but my health-conscious journey actually began with making my own cosmetics while I was still in high school–many years before I started “clean eating”. Whether you’ve got sensitive skin like I do or are just looking for cheaper, more eco-friendly alternatives to store-bought cosmetics, making your own is easier than you might think. 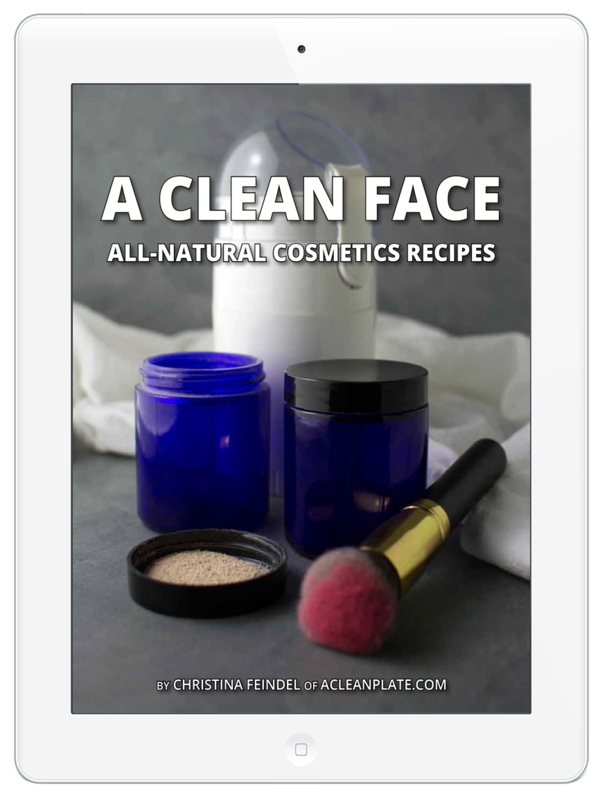 My e-book A Clean Face will give you the tools you need to get started!